The Court held that release of blueprints enabling production of 3D printed guns, which are undetectable, was against public interest. U.S. District Court in Seattle has passed an injunction order preventing the publication of 3D printed gun blueprints until litigation is resolved. This is a temporary win for a group of 19 U.S. states and the District of Columbia who have challenged the publication on the basis that such a publication would be dangerous to the lives of their residents and violative of the right of States to regulate firearms. Judge Robert S. Lasnik, granting the preliminary injunction noted that “The state will likely suffer irreparable injury if the technical data for designing and producing undetectable weapons using a commercially available 3D printers are published on the internet”. “The court finds that the irreparable burden on the private defendants’ First Amendment rights are dwarfed by the irreparable harms the states are likely to suffer if the existing restrictions are withdrawn and that, overall, the public interest strongly supports maintaining the status quo through the pendency of this litigation” wrote Judge Lasnik. What are 3D printed gun blueprints? 3D printed gun blueprints are blueprints for creating guns using 3D printers. Guns made with these blueprints do not have serial numbers and are difficult to trace. The guns can be made without documentation and made available to people without background check. As per existing law in U.S., the Undetectable Firearms Act makes it illegal to own or make plastic guns. A metal piece is to be included in these plastic guns to be detectable on metal scanners. 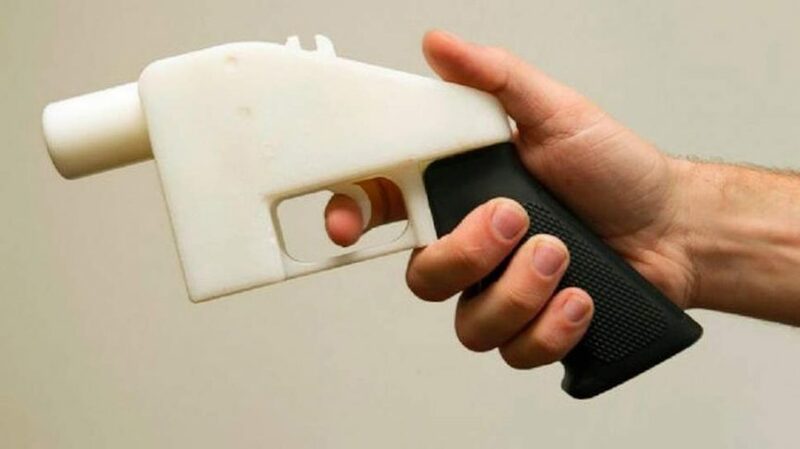 Texas based company ‘Defence Distributed’ had made available designs for a 3D printed handgun called the Liberator in 2013. The Obama administration had ordered the company to take down the blue prints that year which led the Cody Wilson, founder of the Company to sue the government. However, the company has now reached a settlement with the present Trump administration for public release of the blueprints. Notably the Attorney General Ferguson supported the injunction order saying that he was glad that the dangerous policy has been stopped. “Why is the Trump administration working so hard to allow these untraceable, undetectable 3D-printed guns to be available to domestic abusers, felons and terrorists?” he said.